The tradition continues this year, when Pebble Beach hosts its sixth U.S. Open on June 10-16, 2019! No public course in the country has as much prestigious Major championship pedigree as Pebble Beach, the idyllic layout draped over cliffs perched above pristine Stillwater Cove and snow-white Carmel Beach. Get your official gear for the 2019 U.S. Open at Pebble Beach! Shop online, or visit our dedicated store at The Lodge. Pebble Beach is hosting its sixth U.S. Open, more than any other course in the last 50 years. Spend a special week at one of the most beautiful venues in golf with the people who mean the most to your business. This exclusive package is the only way for spectators to stay at Pebble Beach Resorts during the 2019 U.S. Open. Get the ultimate Pebble Beach experience by staying in Pebble Beach, playing golf at the resort and enjoying unique access at the championship all week. While the U.S. Open Championship Experience is the only way for spectators to stay at Pebble Beach Resorts during the week of the U.S. Open, there are numerous hotel options nearby. Hotels in Marina are situated in close proximity to spectator parking shuttles, while many hotels in Carmel are within walking distance of Pebble Beach. 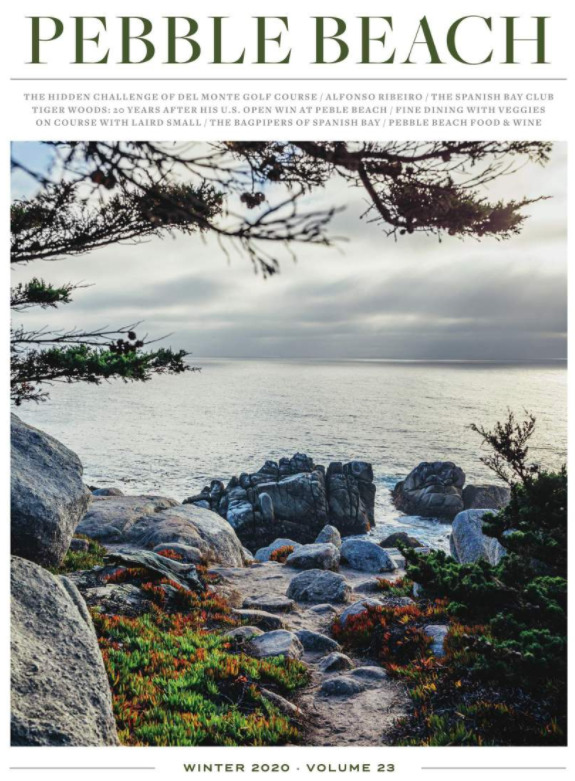 Additional hotel options are available in Pacific Grove and Monterey. Enjoy admission to the championship all week, plus access to the main building at The Lodge at Pebble Beach, including all The Lodge restaurants, The Terrace Lounge, and the outdoor patio. Food and beverage from the restaurants is also available for purchase. The USGA’s relationship with Pebble Beach goes back nearly a century. Just 10 years after Pebble Beach opened, it was selected to host its first USGA championship— the 1929 U.S. Amateur. Pebble Beach has gone on to host 11 USGA championships, and that total will reach 13 after the 2018 U.S. Amateur and 2019 U.S. Open. Pebble Beach made U.S. Open history in 1972 when it became the first championship played on a course that is open to the public. The U.S. Open has since returned in 1982, 1992, 2000 and 2010. Golf’s toughest test is designed to identify the best player in the world. A Pebble Beach U.S. Open has always done that, from Nicklaus to Watson to Woods. Pebble Beach is unanimously ranked the top public course in the U.S., and celebrated as one of the most beautiful places in the world. In 2000, the U.S. Open celebrated its Centennial at Pebble Beach. In 2019, Pebble Beach will celebrate its centennial at the U.S. Open! Pebble Beach comes to life with 40,000 fans packed around some of the most iconic holes in golf. Graeme McDowell became the first European to win the U.S. Open since 1970, shooting 71-68-71-74 to finish at even-par, one stroke ahead of France’s Gregory Havret, two clear of South Africa’s Ernie Els and three ahead of the two top-ranked players in the world, Tiger Woods and Phil Mickelson. Third-round leader Dustin Johnson stumbled with a 82 to finish five strokes back. "Ask any golfer around the world to name a golf course in the United States, and Pebble Beach will be the first thing they say." "I’ve said many times before that Pebble Beach is a wonderful thinking-man’s golf course. That is why it such a great U.S. Open venue." "It seems a little bit like the home of the U.S. Open in the States. For all the venues of the U.S. Open, this is more synonymous with the U.S. Open than any other one." "This is one of the most special golf courses on the planet."